Overall a good interview... I could have done without the reference to the incident... (am so tired of the media constantly bringing up the matter... it is time to build a bridge and get over it folks! 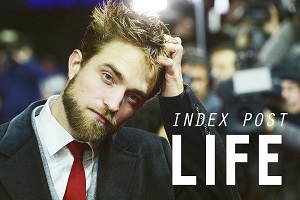 Rob's private life is just that "PRIVATE" and just like the rest of us, he is entitled to make his own choices. As a fan I am extremely happy with his choices. I wish him well in all his upcoming projects and will look with interest at how well he handles the outback in Australia LOL... Man that will be an eyeopener for him. Rob is so cool and collected. He always amazes me how nice he is to the media. I don't know how he does it because I just could not. All I want to do is strangle all those presenters from Today, then maybe give them a few well aimed slaps! Urgh! They are so immature and disrespectful, laughing about Rob's personal life like it is a joke. Rob puts them all to shame. Rob continues to impress me with his inner strength, intelligence and grace. More power to you Rob!! In my opinion they are a bunch of idiots who don't even know to do their job well. They bring 'it', bc they are gossipers, not journalists. They even had the audacity to ask fans what they would ask him once they couldn't make questions about his PRIVATE life. WTF? 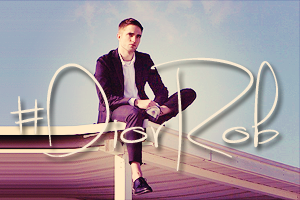 He is promoting BD2, his life is none of our business. @RPK ~> I wanted to kick their a$$es too. Making fun of Rob behind his back was painfully disgusting. Bunch of loved people. It was like watching those noisy old neighboors gossiping and laughing like hyenas. Rob is amazing! He is one of the kindest soul/person I've seen. Why should interviewers ignore the fact of Kristen's infidelity? It happened. They moved on. But it still happened. Fans wanting things to be some sort of fairytale are part of why fame has been so tough for Rob and Kristen. Why wouldn't an interviewer push the envelope and hint at things that happen in real life? This weird attitude some fans have about how people should treat Rob and Kristen is completely out of touch with how the real world operates. Rob is a private but also a public personality. And he's also a man. He doesn't need this mothering rubbish from total strangers.